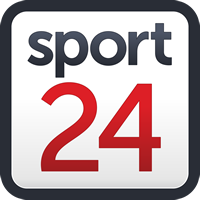 Springbok coach Rassie Erasmus has seven months to wait before his team next goes into action but the gap between now and the start of the truncated Rugby Championship will be crucial to determining his chances of success at the 2019 Rugby World Cup. Already there has been some movement towards affording his team their best possible chance of adding the 2019 title to the World Cups they won on home soil in 1995 and in France in 2007. It was announced at the start of the week that the Boks will travel early to Japan to face the hosts in a warm-up fixture a couple of weeks before the tournament kicks off. That goes with the four fixtures they already had on their pre-World Cup schedule in 2019 - the matches against Australia, New Zealand and Argentina in the truncated Rugby Championship, plus the extra game against the Pumas. So there are five matches for Erasmus to fine-tune his team, which is not a lot, and it might explain why Erasmus allowed the results from his first season as Bok coach to be skewed by experimentation. He ended the year with seven wins and seven losses in 14 starts, which is a 50% percentage. He himself has described that as barely a pass, but you also have to take into consideration that he arrived in the job halfway through the World Cup cycle and after two years in which the Boks had slipped down the rankings and had seen their pride savaged by two massive defeats at the hands of the All Blacks. Indeed, if you look back at history, then you’d probably agree that the Boks are no worse off at this point than they were at the same stage of their build-up to their 1995 and 2007 World Cup triumphs. The penultimate year before the 2007 World Cup was a poor one for the Boks, and Kitch Christie’s team sounded off their 1994 November tour with a defeat in the non-international against the Barbarians. The loss to Wales in the final match of 2018 was disappointing but Wales are building for a strong challenge in what will be Warren Gatland’s final World Cup at their helm. And there is a lie factor that comes into play in the November internationals. It is on the end of season tours that the ridiculous playing and travel demands of the southern hemisphere season catch up with the teams, and the results haven’t just reflected that this year, but for a while. The All Blacks may have won their games on their 2017 November tour, but their performances were poor, and ditto for 2016. It’s been a long time since the Boks and the Wallabies have been convincing on a November tour, and the Pumas, because they spend half their year overseas due to their Super Rugby commitments as the Jaguares, just don’t feature. In a World Cup year, where the commitments are lessened and everything is targeted at peaking in September and October, they tend to be much more of a force. Erasmus’ men showed their capability when they won away in New Zealand and then dominated those opponents in Pretoria before throwing it away in the final minutes in Pretoria three weeks later. What happened at Loftus is important as it sums up one of the reasons that it was an inconsistent year and why the Boks never hit a winning roll and stayed on it. Kepler Wessels, when he was skipper of the Proteas at the start of the post-isolation era, warned supporters that because his team was new to international cricket and mostly inexperienced, they should anticipate a period of inconsistency. Erasmus said the same thing after the Welsh game, and although he doesn’t have the same level of inexperience in his group that Wessels had in 1992, he is nonetheless right. He was lambasted by some critics, not least this one, for what appeared to be poor substitutions at the end of the Loftus game. He pulled off his most influential players, and it looked as though he had made the mistake of thinking the game was already won (the Boks were two scores ahead going into the final eight minutes). The Boks surrendered the initiative in the final minutes and the All Blacks, sniffing a chance, made full use of it. Had Erasmus had a more experienced squad playing for him, and the players who came off the bench more international experience behind them, the Boks would have won and completed an amazing double against the Kiwis. We would never have ended up having the debate we did. There is a strong counter-argument that he should have settled on his top team quicker and allowed the team and combinations to gel. Perhaps he should have made the World Cup less of a focus and focussed instead on the pressing need to regain the Bok pride and the standing of the brand. To do that required wins, nothing more and nothing less. But Erasmus’ contention that he needed to build experience and his depth had merit too. His experimentation up until the end of year tour played a big part in some of the defeats his team suffered. For instance, one of the losses on his record was his opening game as coach against Wales in Washington. That was an out and out experimental team and featured hardly a player who was to be part of the series against England that followed. The travel demands ensured that Erasmus had little choice but to go with the selections that he did. But he had more choice three weeks later when his team was on a cusp of what would have been a hugely commendable 3-0 series whitewash against England. Instead of sticking with the momentum that was clearly being created in the excellent win in the second test in Bloemfontein, he opted to experiment. The Boks lost, and it had a knock-on effect. When the Boks were surprised by both the Pumas and some lamentably poor refereeing in Argentina two tests later, Erasmus said something quite telling in the post-match television interview. He said “this changes our plans, now it is win at all costs”. Wasn’t it win at all costs anyway, isn’t international rugby always win at all costs? As it turned out, Erasmus did stick with his experimental approach in the Wallabies match that followed in Brisbane. Among other selections, there was the decision to leave Malcolm Marx and Handre Pollard on the bench. The Boks lost a game they should have won. Unless you count the substitutions made in the Loftus test as experimentation, that was the last loss we can attribute to Erasmus’ preoccupation with the World Cup. The England defeat was the result of the wrong onfield calls being made - not to mention referee error in reference to THAT Owen Farrell tackle - and to an extent it was similar in Cardiff, where fatigue and the tactical astuteness of Wales were also a big factor. But that is four matches where the result was arguably sacrificed to experimentation. Take them off Erasmus’ record and the year looks quite different. Of course, there were some games that the Boks won that they possibly should have lost too. They were fortunate to end on the winning side in Wellington, and in Paris too. Some might argue too that England conspired against themselves in the Johannesburg test that started the June series. But coming from behind to win, and winning close games by having to either hold onto a lead or score late, would have been a big boost for the all-important ingredient of experience that is required when the heat is on at a World Cup. If you consider where the Boks were after the 57-15 defeat to the All Blacks in Durban just two years ago, they have travelled a long way when it comes to their competitiveness against their fiercest rivals. And in the final analysis, when you look back at the year and try to assess whether there was movement forward, the positive answer to a single question probably sums it up. That question is - do you have more belief that the Boks can beat the All Blacks at next year’s World Cup than you had at the start of the year? If you answer in the negative you didn’t watch the games in 2018. For anyone who did, the answer does have to be an emphatic yes. That does not mean though that the Boks don’t have lots of work to do. There is plenty to do, and while Erasmus blamed it on the conditions, there should be concern at the Bok inability to build up attack and profit from it that became evident on the end of year tour. The loss to England should never have come down to the Owen Farrell tackle controversy, they should have been put away long before that given the amount of ball the Boks won in the first part of the game. And while Wales have improved beyond measure, the Boks looked disturbingly impotent when confronted with the challenge of having to break down a good defensive system. Much of it, referring to the lack of continuity on attack, comes down to that age-old post-isolation Bok malaise - lack of skills - and in that sense the local Super Rugby coaches will hopefully be doing a lot of Erasmus’ work for him during the pre-season. Skills are not something that an international coach should be working on in the limited time during the year where he has his players together, he should assume they come to him skilled.There was an improvement in the skills exhibited by South African players at Super Rugby level this year, which is a legacy of the coaching indaba that was called by Erasmus’ predecessor in October 2016, but that is still a work in progress. If the Boks do get their attacking game going, and by that meaning attack created by something other than exploiting opposition mistakes, they have a lot going for them. They have two big, strong and fast wings in Aphiwe Dyantyi, who rightly won recognition from World Rugby at the end of year awards dinner in Monte Carlo, and Sbu Nkosi, and when Warrick Gelant returns from injury there will be depth at fullback. Lukhanyo Am’s ability as a creator for those around him was missed after his injury - Jesse Kriel can also play wing and it was pleasing to see Erasmus move him in that direction on occasion - and Erasmus really must take a proper look at Jan Serfontein. If he is going to choose overseas based players, Serfontein, the best Bok back for most of 2017, merits consideration on all counts and could add a real attacking edge to the South African World Cup challenge. Lood de Jager did tour with the Boks at the end of the year but he was out for much of it with injury. While Franco Mostert is an industrious player who boasts a work-rate second to none, De Jager could provide the extra thrust the Boks may need once he is fully fit and has his momentum back. Certainly when playing under John Mitchell at the Bulls he looked to be a special player and it was perhaps fitting that he ended the year with a positive statement by winning the man of the match award in the Barbarians game against Argentina in London. Erasmus should be now have his best World Cup team quite clear in his mind, but history tells us that the months of Super Rugby that will precede the first squad selection could just change his mind. What should bring some merriment to his Christmas though is the knowledge that while in many senses it was a real curate’s egg of a first year in charge, his team has experienced victory over all the other major World Cup contenders other than Ireland. And after coaching Munster, he is less in awe of the world’s No 2 ranked team than others are. The Boks can win the World Cup, which is not something we would have said this time last year.